The aim of the webinar was to inform participants about the lessons learnt as regards organising such large-scale demonstrations and about key findings that will support future development and research activities in the area. CityMobil2 is a project co-funded by the EU’s FP7 for research and technological development. The project started in September 2012, ran for 4 years and had 45 partners drawn from system suppliers, city authorities (and local partners), the research community, and networking organisations. 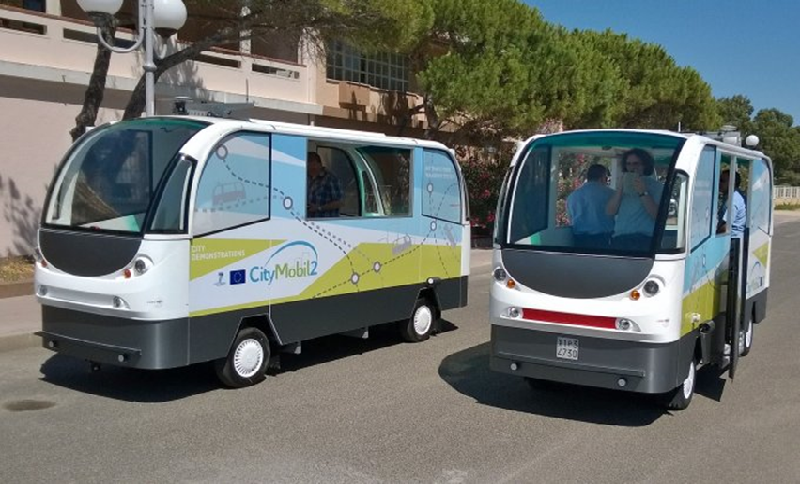 CityMobil2 set up a platform for the demonstration of automated road transport systems in real life urban environments, which was implemented in West Lausanne, La Rochelle, Trikala, Oristano and Vantaa, in order to understand factors that influence acceptance of such systems. In addition to the demonstration activities, research was undertaken into the technical, ﬁnancial, cultural, and behavioural aspects along with effects on land use policies and how new systems ﬁt into existing infrastructure in different cities.